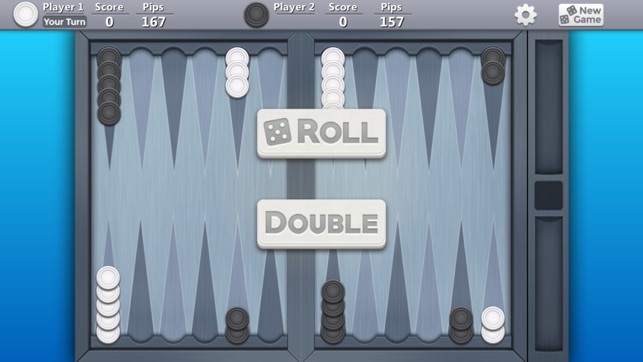 Play the classic game of Backgammon for free! 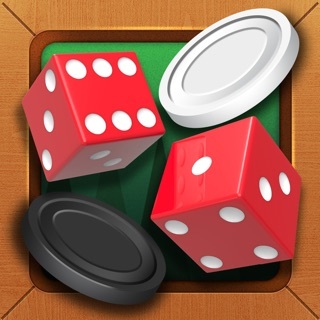 Backgammon Free! supports 1 and 2 player gameplay, so you can play with friends or against a challenging computer opponent. • Three difficulties of AI: easy, medium, and hard. • Simple & Intuitive controls. • Theme customization including board and background colors. • Move highlighting for easy play. 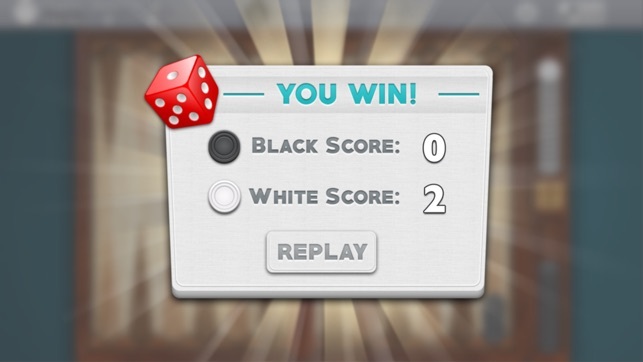 • Play as White or Black chips. 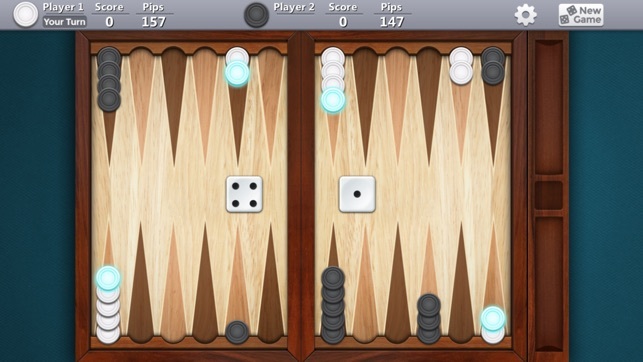 • Hands down the best looking Backgammon on the store. • Universal app tailored for iPad and iPhone. 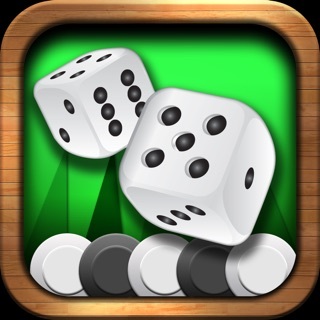 If you've been looking for a great Backgammon game for your iPad or iPhone, you've found it! - Latest compatibility and bug fixes. I have played this game for sometime. I would buy the .99 cent packs and watch others cheat me out of the coins . If you sit on the timer a few seconds you can almost always roll a double or exactly what you need to send the opponent packing back to home . I deleted this rigged game . People cheating once they figure out the timer . And if you write the developer they will tell you there is no way this can happen . If your smart and want to keep your blood pressure down and your sanity sane then run from this game . And if your one of the people who loves to cheat I hope a cheater out cheats you . I gave this game a one star but if I could have Id given it a 0 so take this star as for the graphics because thats all this game has is good graphics but even that isnt worth staying for . (Added after developer reply) thanks BGL for confirming my statement you say you have no control but you have hundreds telling you there is a problem and instead of trying to fix the problem with your game your going to try make out like everyone is whining over losing ???!!!!!! Its no wonder your game is a joke because you are too . 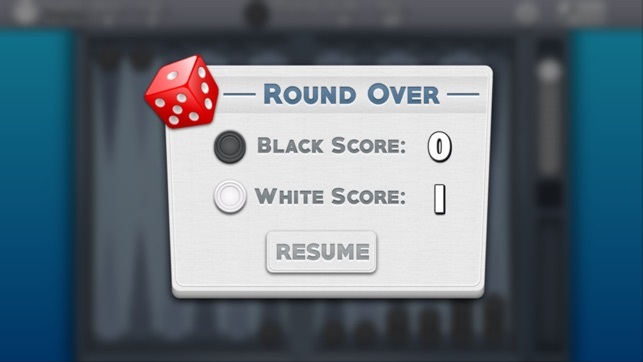 I tell you what let me download the game and you meet me at a table and lets see how random the rolls are . i hope Apple gets enough bad feed on you that your crap game is removed so you guys cant continue cheating people out of their money . I've played BG for years on my phone, but this version seems to be different. When moving chips off board, it forces you to take the lower number first. Example, if you roll 6 & 1, but no chip on the 6 spot, but a chip on the 5 & 1 spot, you can't move the 5 off the board, it wants to move the 5 to the 4 spot, unless you use the 1 dice to move off the chip on the 1 spot. Also, if you roll a pair of 5's & are in the move chips off the board phase, with no chips on the 5 spot, it will let you move a chip on the 6 spot off the board, when it should just move the 6 chip to the 1 space. Also, when trying to move a chip to a spot on the board shown as an option i.e. It shows as a possible move, you must try several times to move it. As others have said, the computer is very predictable in its moves. Always moves chip from farthest spot first, unless it has opportunity to hit 1 of your chips. I like the music but wish you could play a full game instead of just 1 round. 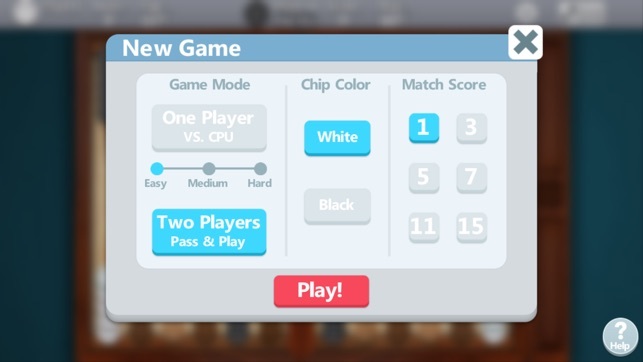 The game should continue until you or computer reaches 5 or higher points first. When bearing off, it forces moves that are not forced - if you have men on the 5 and 2 points and roll 6 3, you should be able to use the 6 to bear off from 5 and the 3 to bear off from 2; instead, it forces you to use the 3 to move from 5 to 2 and then the 6 to bear off from 2. Also, if you double and then win with a gammon, you should get 4 points. It only gives error you 2. Finally, it colors the pips wrong. An even number should move you to the same color, but adjacent pips on opposite sides of the bar are colored the same. That gets confusing. I don’t care for the user interface either, but that’s just personal preference.